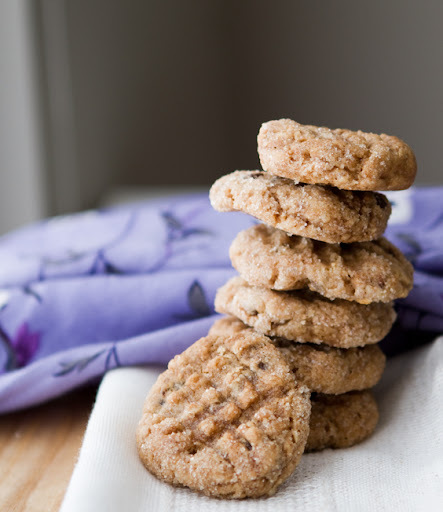 Peanut Butter Cookies. For Mikey and Jennie. If you've browsed a few food blogs today, you may have noticed peanut butter pie desserts popping up all over the place - there is a poignant reason why. The inspiration for this virtual dessert smorgasbord is a celebration of life, love and the reminder to love now. All inspired by food blogger, Jennie Perillo's story of love. And sudden loss. Jennie's husband, and loving father to their two girls, died suddenly of a heart attack earlier this week. Though I have not met Jennie personally, many of my food blogger friends have raved to me about her kindness and fabulousness. And being a food blogger myself, I can't help but feel a bit shaken by her story. Sad things happen every day. Everywhere. It's easy to read statistics about heart attacks and cancer and such and feel numb. Numbness may keep you safe from pain, but it also keeps you safe from feeling. And aching, and healing, and breathing and living. Sometimes, it's alright to lose yourself in someone else's story of loss. To feel their pain. Jennie's story has reminded me to value the love in my life and be grateful for the joy all around me. Jennie's story can remind all of us to feel gratitude for the people in our lives - while we have them in front of us. "Time has suddenly stood still, though, and I'm waiting to wake up and learn to live a new kind of normal. For those asking what they can do to help my healing process, make a peanut butter pie this Friday and share it with someone you love. Then hug them like there's no tomorrow because today is the only guarantee we can count on." Hug and Bake. I'm doing that today. For Jennie. And for me. 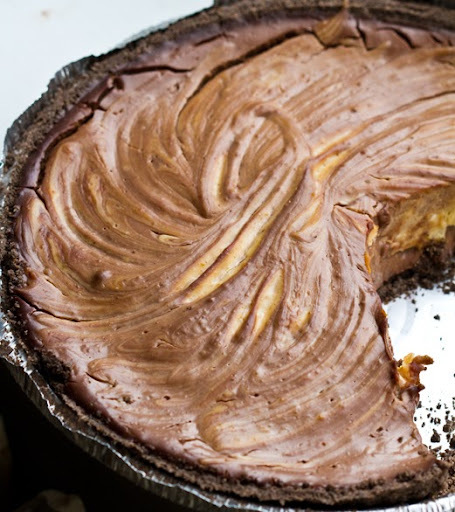 You can find Jennie's Peanut Butter Pie recipe (veganizable) on her website. 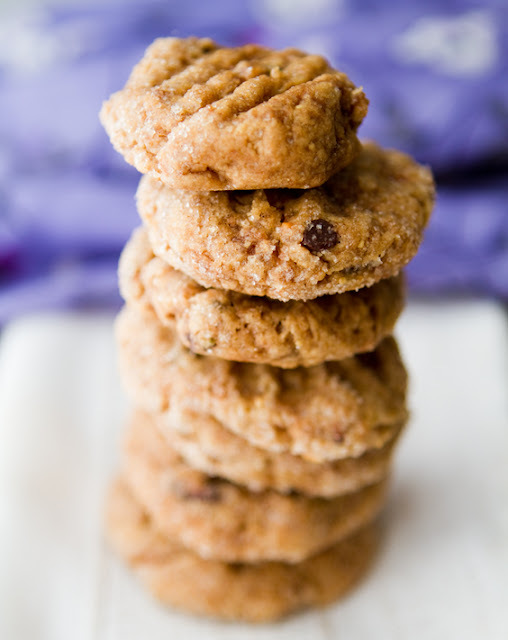 My peanut butter cookie recipe is below..
*optional - for fluffier cookies use Ener-G - for chewier cookies, leave out. 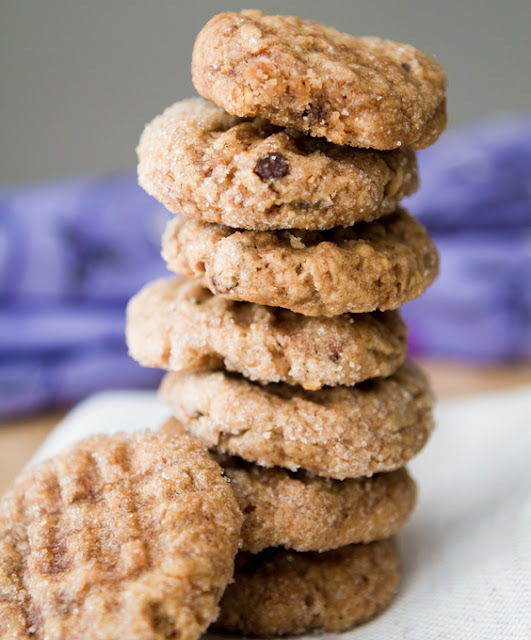 I actually didn't use the Ener-G for the cookies in the photos. You can still add in the 2 Tbsp water to sub the liquid part. 2. Sift together dry ingredients. Fold in the wet ingredients. Lastly, fold in the chocolate chips and the optional egg replacer. Note: you can omit the egg replacer if needed - sub with another splash of soy milk if needed. Adjust with a few pinches more sugar/flour if the dough is too sticky to hand roll into balls. Otherwise, you can chill dough in fridge or freezer for easier handling. 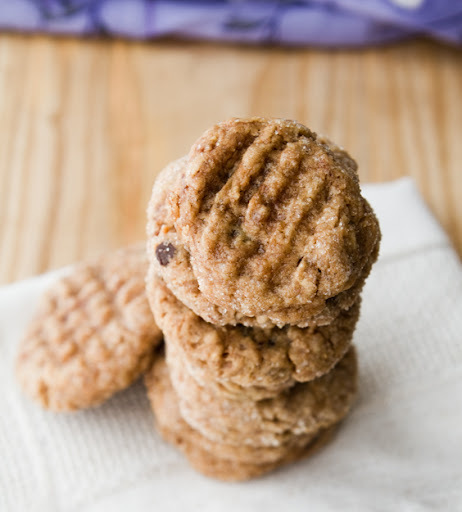 Roll dough in sugar and pat with fork for pb cookie design. 3. Bake cookies for 8-10 minutes at 350 degrees. Cool.